Yeah, I know all about the “stresses.” This past winter I watched the ranks of the homeless swell. They stood in a long ragged line across the street from the library, waiting for night to fall, for the library to close. Instead of shopping carts, they had luggage with wheels, with blankets rolls strapped to the tops. There have been more and more young people and the working poor with $1,000/month mcjobs unable to pay $1,000 monthly rents or unable to save the security deposit on more affordable housing. There are more homeless with dogs and cats. 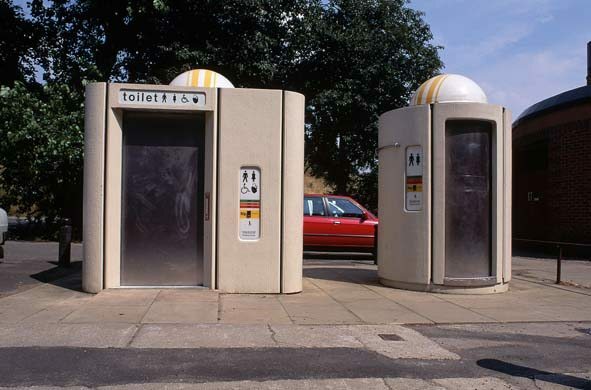 What are absent in this discussion about homelessness are public toilets. Think about that. Our public buildings afford minimal safety and shelter from the elements, but there are no toilet facilities on our streets. The areas around our library have become a public latrine and this is a very bad situation. The City has been saying for years that there is no money, blah blah blah for something as elemental and necessary as toilets. Marti Emerald has been a tremendous advocate and because of her efforts there are now public toilets (I believe) around Island St. They are obviously not enough and they need to be available throughout the downtown area. A whole pile of economic stimulus funds has come to the City for homeless programs. Get on the phone and start emailing Kevin Faulconer, City Councilman for the downtown area and Marti Emerald with ideas on how to use these monies. Why are we disbanding shelters? Why are we not providing public toilets? Homelessness is not an “aesthetic” problem and too often the first response by citizens is precisely that assessment. People end up in the streets for many complex reasons. The cost of medical care, the loss of jobs and the lack of affordable housing for the working poor rank right up there. A street is not a home and it is unconscionable that we lack the political will and ability to make sure that people have a place to live. Let’s do something. 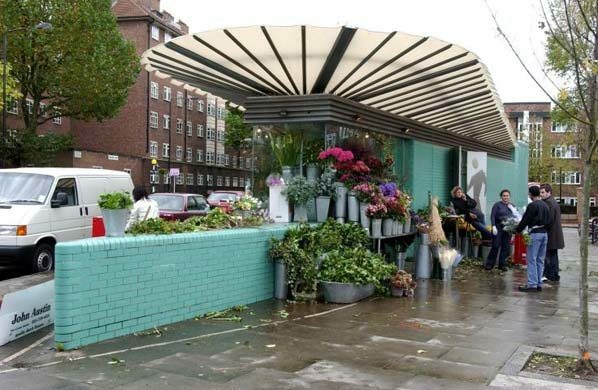 Go here for a photo gallery of English public toilets. 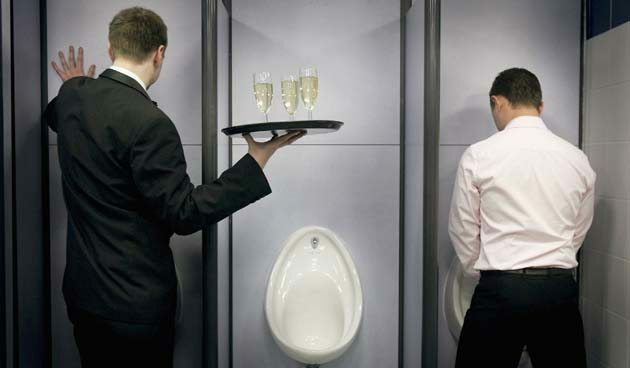 After all, we're not asking for champagne with our toilet. getting affordable healthcare would have a huge impact on the homeless situation. so many people have been bankrupted due to the greedy overlords of the “health” insurance industry. the cost of healthcare needs to be addressed THIS YEAR…and the solution is SINGLE PAYER. the wingers will call it socialism; it’s no more socialist than public libraries (originally a socialist idea, BTW). I know that a few years ago someone was going to as many businesses in our area as they could, to see if their bathrooms were compliant and if they weren’t, the shopkeeper could either be sued or pay a huge sum to settle. This was in addition to making them ADA compliant. Luckily here in OB there’s a public restroom at the foot of Santa Monica at Abbott (among others) but I still see a lot of (for lack of a better word) crap around OB. It’s bad enough when pet owners don’t pick up after their dogs, but when people start defecating in public, well that’s just plain wrong on so many levels. No public restrooms? Well how about a private one then? Because something’s got to give and you can be sure, someone’s got to go. The photos accompanying this article (Patty? Frank?) are great. They got me thinking… Why can’t the People’s Potties become an art installation as well as a social/public health installation? How many years now have cities been trotting out those damn art cows, as if there are no new sources of inspiration nor opportunities for creative public discourse? San Diego artists should get paid to design unique, FUNCTIONAL toilets that businesses and residents would want to see on their block. (Call it the Lookie Loo project.) We need to find creative solutions to our environmental, health and social problems, and too often we overlook the role of our artists and visionaries. Frank gets the credit for finding these great photos Anna. Lookie Loos! I love it… Maybe here they can call them OB People’s Potties. annagrace – you’re right on, sister! For the record…we did lose a bathroom at South OB. You can still see the little building under the base of the pier. Larry, sure I remember that place. It was always a fairly dingy, smelly, and piss-poor excuse for a restroom but at least it was one. The taxpayers annually provide the Zoo some $10 million dollars to house monkeys; but fights to a crisis to find a couple of hundred thousand for the winter shelter. Finnally, Solutions start whith each of us and not just the government. Ask yourself what are you doing to solve this challenge. Do you share? Older Article: Are Republicans Blackmailing Obama Over Bush’s Torture Memos?